VP MECHANICAL // Service // Design. Build. Service. Ensuring your HVAC system runs efficiently to save time and money in the future. VP MECHANICAL // Changeouts // Design. Build. Service. Upgrade your HVAC equipment without starting from scratch. VP MECHANICAL // Preventative Maintenance // Design. Build. Service. Preventive HVAC maintenance will help improve system reliability and reduce untimely, inconvenient breakdowns. Maintenance contract customers receive priority service and preferred customer rates. Please contact us for your free quote. VP MECHANICAL // VP Advisor // Design. Build. Service. Connect with our specialists and plan your project from anywhere. VP MECHANICAL // Who We Are // Design. Build. Service. I am writing this letter to convey my appreciation for a job well done. The work completed by your company on our multi-tenant projects has been wonderful. The attention to detail and finishes has helped us create first class buildings which are models of our industry. We would like to thank you for the outstanding service your company provides for us. As a construction company, we can always rely on VP to provide us with competitive pricing. Having your company as part of the project team is a great asset to us. Whether the project is a 60,000 square foot building or a small rework, we always get the full devotion from VP Mechanical on the project. Your work is always professional and done in a timely manner. Anytime I have questions, I know that VP will have the answers and assist in getting the problem solved. As developers and property managers of over 300 tenants and well over 1,000,000 square feet, we have quickly come to realize the benefit of teaming up with VP to handle our service work. We know that when we send out a service order, the problem will be taken care of to the satisfaction of not only ourselves, but our tenants as well. If you ever need anything from Platford please don’t hesitate to call. We have enjoyed our relationship and trust that it will continue to grow in the future. 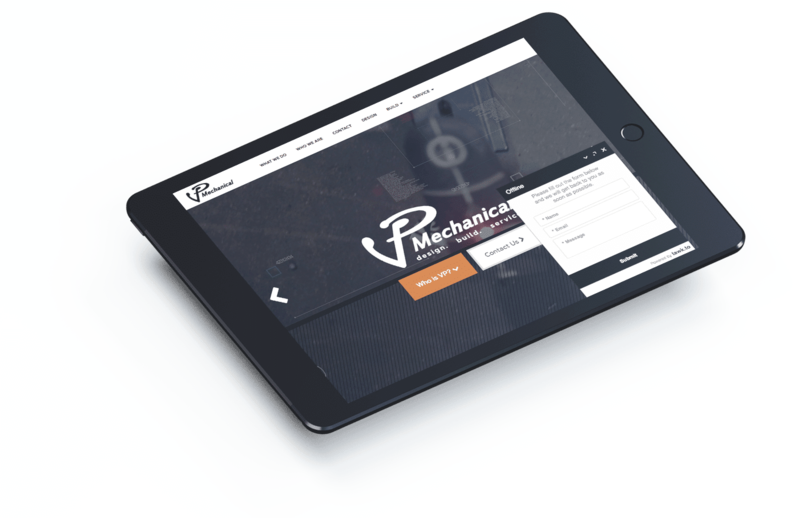 We, at Platford, will definitely recommend VP Mechanical to others in the future. Our company has worked side by side with VP Mechanical on countless construction projects. They have proven to be a valuable resource in the design build arena, finding cost effective solutions to meet challenging budgets. Their level of professionalism and industry knowledge has made their business excel in every aspect, from plan and spec projects, to design build and full service repairs. In addition to their construction experience and our work together as subcontractors, VP Mechanical has also become our HVAC service contractor. They have repaired and replaced several pieces of heating / cooling equipment in our facility as well as our rental properties. They have proven to be a very honest and reasonable contractor. I would personally recommend VP Mechanical to any general contractor or private building owner. - Charles J. Kostomiris, Lino & Poli Plumbing, Inc.
As the owner of a company, I always welcome feedback on how my customers view my company. In that light, I wanted to take a minute to let you know that I am very pleased in all of my dealings with your firm, V.P. Mechanical. Whether it be requesting a quote, performing new construction or service work, V.P. has, without exception, always taken the time to do things right. This is becoming a rare trait among companies today. For the number of years that we have been associates, I have never been disappointed with the final results or the means to achieving results provided by V.P. Mechanical. It is nice to know that companies with this work ethic still exist – I know from experience that this is often the example set by the owner and, in this case, I am sure it is the example set by the owner. Your good work as a Subcontractor reflects favorably on me, the General Contractor, as well. Please continue the good work; I look forward to working on many more projects with you and the members of your company. - Augie Ziccarelli Build Corps, Inc.
VP MECHANICAL // Location // Design. Build. Service. © 2019 VP Mechanical Inc. All Rights Reserved.